According to the World Health Organization, approximately seventy percent of men and thirty percent of women in Russia smoke, and the WHO estimated that at the close of the twentieth century 280,000 Russians died every year from smoking-related illnesses – a rate over three times higher than the global average. The demographic crisis in current Russia has occasioned interest by President Putin in health care efforts and by historians in the source of these problems. Tobacco in Russian History and Culture explores tobacco’s role in Russian culture through a multidisciplinary approach starting with the growth of tobacco consumption from its first introduction in the seventeenth century until its pandemic status in the current post-Soviet health crisis. 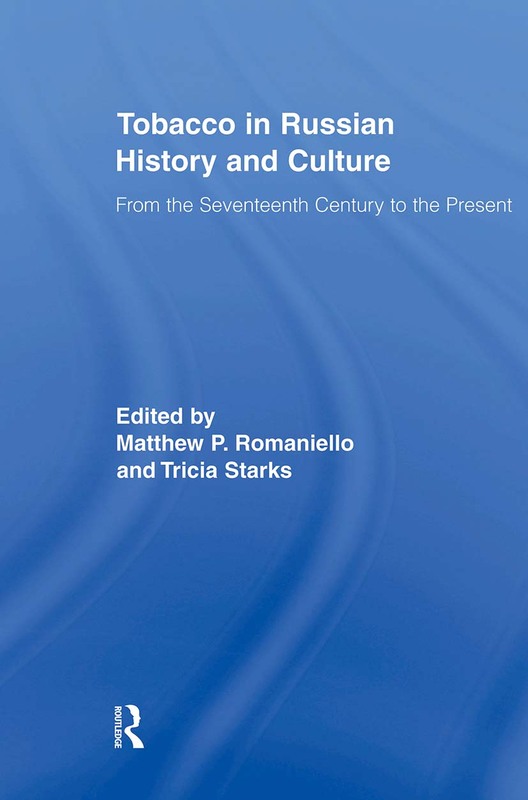 The essays as a group emphasize the ways in which, from earliest contact, tobacco’s status as a "foreign" commodity forced Russians to confront their national, political, and economic interests in its acceptance or rejection and find there markers of gender, class, or political identity. International contributors from the fields of history, literature, sociology, and economics fully present the dramatic impact of the weed called the "blossom from the womb of the daughter of Jezebel".